Well said. It sounds like a book written more out of guilt rather than true understanding. This book was written by a close life-long friend of my oldest sister, Libba Gray Moore. Libba grew up down the block from us in Roanoke VA and did not start writing children’s books until 1993 after she was diagnosed with cancer at the age of 56. She died of cancer in 1995 and her children’s books are award winning Scholastic Reader books. 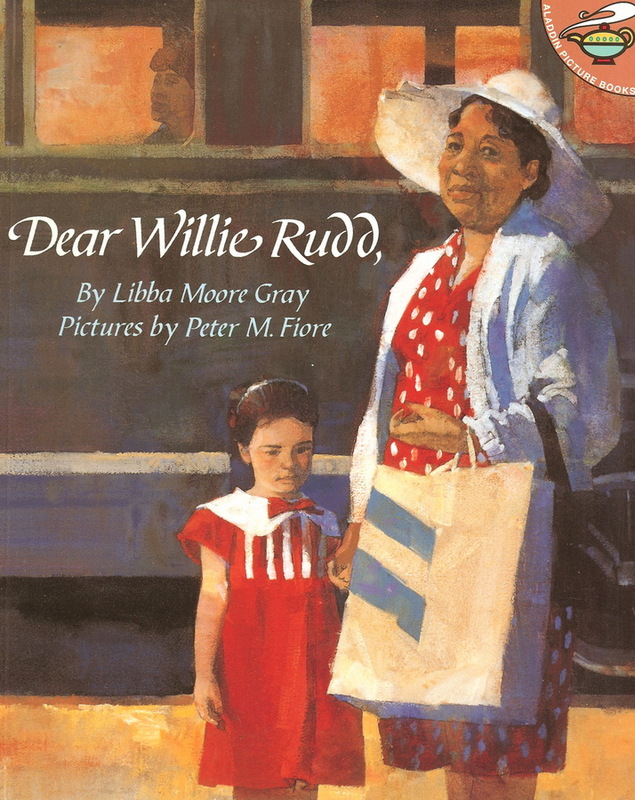 Dear Willie Rudd is a book that is poignant & directed toward children ages 5 – 9. It is based on Libba’s own life and reflects a little girl’s feelings and the same grown up girl’s wishes that she had been able to do something to help Willie Rudd. I disagree strongly with your critique. Thank you so much for your response to a Just Like Family blog post about the book Dear Willy Rudd. It’s been a while since I read the book so I thought I would go back to it and read it again. I find issues and concerns around race always changing—my views included—and it will be good to go back to assess where my thinking is now. Thanks again for your response. You are currently reading Dear Willie Rudd, at JUST LIKE FAMILY.